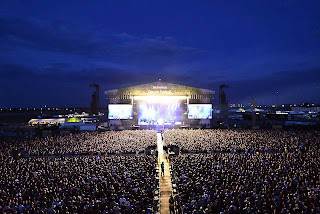 WARSAW, Poland – ESS Audio, HARMAN Professional’s distributor in Poland, is midway through a busy summer festival season with HARMAN’s JBL VTX line arrays, highlighted by the recent Heineken Open’er Festival at Gdynia-Kosakowo Airport on the North Coast. Organized by concert agency Alter Art, Heineken Open’er Festival is one of the biggest festivals in Poland (and the third largest in Europe), with 50,000 attending the 4-day festival daily. ESS Audio’s customer—rental company, GMB Pro Sound—took responsibility for equipping the main stage, using their new JBL VTX system. They fielded a total of 64 V25 fullsize line array elements, with the main front-facing PA comprising 18 elements per side. This was supported by outfills (in hangs of nine) and downfill enclosures, complemented by 48 G28 subwoofers in a broadside reverse cardioid array. Four VERTEC® VT4889 fullsize line array elements were added for near-field coverage and a further 24 VT4889 were used for delays further down the field. 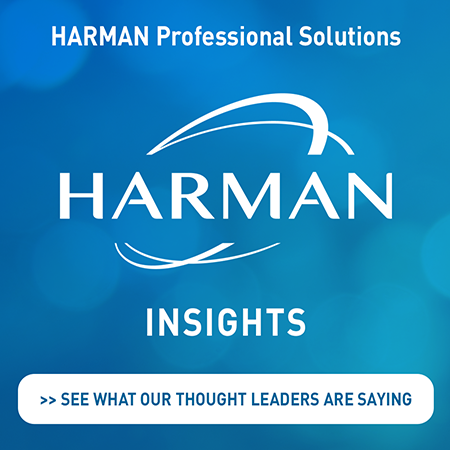 The entire system was powered by Crown I-Tech 12000 HD and Macro-Tech MA5000 amplifiers, while the company dipped further into its HARMAN Professional inventory for digital control. Four Soundcraft Vi6 digital consoles were deployed for use by the FOH and monitor engineers for internationally-famous acts such as Rihanna, Blur, Steve Reich, Arctic Monkeys, Editors, Skunk Anansie, Nick Cave, Queens of the Stone Age and Kings of Leon. 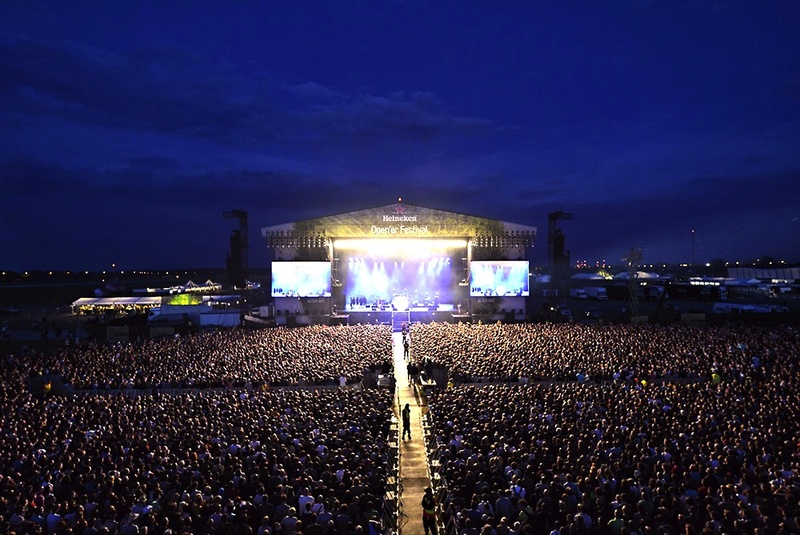 Earlier in the month, GMB Pro Sound had again fielded its premium JBL VTX system for the main stage at Orange Warsaw Festival, held at the National Stadium, Warsaw, and this year featuring Beyonce, Fatboy Slim, Basement Jaxx, Tinie Tempah Offspring and Cypress Hill. Since the Festival began in 2008 it has grown to become one of the country’s most important events, televised by commercial network TVN. The same company also supplied a pair of Soundcraft Vi6 digital consoles for the Top Trendy Festival at Opera Leśna in Sopot (close to Gdynia). Organized by television station, Polsat, the event is divided into two sections: ‘Top’ presents the 10 most popular artists in Poland while ‘Trendy’ presents emerging artists, who participate in a talent show. Viewers voting by SMS chose the winner, with the prize a Polsat TV appearance. For this event sound coverage was provided by 30 V25 line array elements and 18 G28 subwoofers, each driven by a Crown VRack system, supplemented by a further four VERTEC VT4880 arrayable subwoofers (powered by Crown Macro-Tech MA5000), eight VERTEC VT4887 compact line array elements and four VRX932 Constant Curvature loudspeakers on fill duties—all assigned to Crown I-Tech 8000 amplifiers. Finally, in the south of the country, the National Festival of Polish Song is staged and broadcast annually at the Millennium Amphitheatre (Amfiteatr Tysiąclecia) by TVP, Poland’s national broadcaster. One of the two most important music festivals in Poland, the Opole festival reflects the past year's achievements by Polish song writers and performers, incorporating hits of the previous season with new songs and performance debuts (including a tournament). For this event, GMB Pro Audio fielded 18 VRack-powered JBL V25’s, along with 12 SRX712M monitors and a pair of Soundcraft Vi6’s—one at the stage and one at FOH.